Did you miss out? Continue reading this guest blog by UK journalist Kieran Flatt. It’s time for urgent action. Sailing can be sustainable and sport has a great power to inspire change but the onus is on all of us, right now, to make it happen. That was the positive take-home message from the panel discussion at Boot Düsseldorf in Germany, the world’s largest indoor boat show, on 22 January 2019. There is indeed cause for alarm. 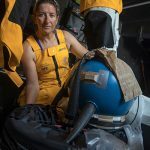 Emily Penn, the ocean conservation campaigner, eXXpedition director and research yacht skipper, reminded us of the uncomfortable facts: every single piece of plastic that we’ve ever used is still somewhere on the planet – and a great deal of it has ended up in our oceans, swirling around on the surface in gigantic gyres and littering the ocean floor. Not only that, but it’s entering the food chain, it’s toxic and it’s in our blood. Emily had her own blood tested to prove the point and found 26 toxins derived from plastic. Convincing the sailors who compete in the 52 Super Series was easy, Böcking says. Most of them have children and are keen to support ocean conservation as a result. 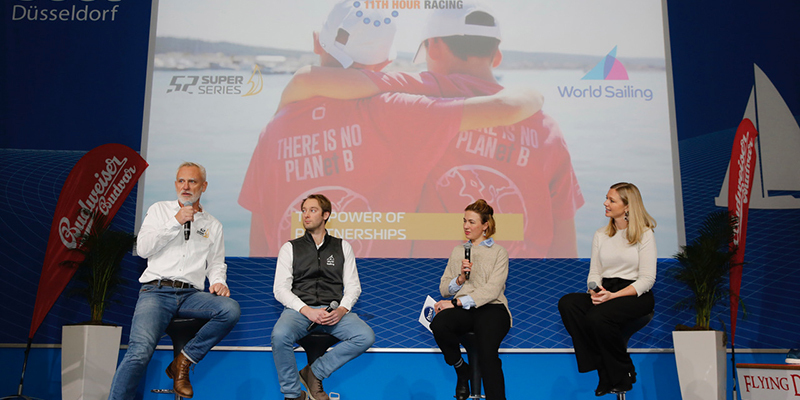 The Super Series is now ISO-certified for sustainability, so the challenge for professional sailors is to be influencers when they sail in other events. World Sailing takes its role seriously, Reading said, working with class associations and members around the world. Sailing’s governing body now has a sustainability commission made up of experts, 56 sustainability targets and an ambitious 11-year plan. It all starts with gathering data but the ultimate aim is to make a better world. It all starts with taking personal responsibility, then trying to influence others. 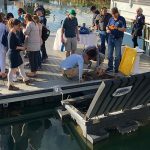 The 52 Super Series promotes a simple three items rule: every time you go to the beach, pick up three items of litter and dispose of them properly. ‘It’s not just down to organisations, Böcking said. ‘It’s down to all of us to make a difference and it’s not going to happen just because someone is telling us to do it – it has to come from the heart.’ One successful initiative was started by TP52 sailors in Croatia: the underwater clean-up. One of the teams’ routine tasks before a regatta starts is to dive under the boats to clean the hulls. While they’re down there, the divers now clean the surrounding sea bed, removing the rubbish that has accumulated on the bottom of the harbour over the years. 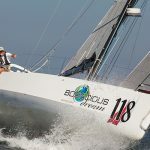 Böcking’s 52 Super Series is starting to educate its supply chain, encouraging sustainable thinking. ‘We travel to some of the most beautiful places in the world, which advertise themselves as having the cleanest beaches on the planet, and yet we still often find a lot of waste,’ he said. ‘We have to work on changing people’s mindsets. For example, many people don’t even think about cigarette butts but they can last up to ten years in the ocean. 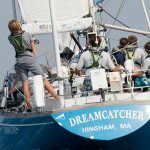 It’s about using the power of sport to influence these people.’ Stakeholder management includes things like talking to yacht clubs about catering – explaining that they should be serving local fish, for example, rather than using tuna that has been imported from the other side of the world. So what should the rest of us be doing? 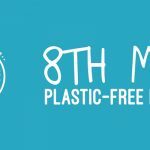 As individuals, we can avoid overconsumption, reduce our use of plastics to the absolute minimum, influence others to change their behaviour and promote sustainability in sport. ‘Athletes can influence industry and consumers can change manufacturing,’ Penn explained. ‘Sport can provide powerful financial incentives to design and make things in a different way.’ Companies will become more sustainable if they know that it’s good for business. ‘It’s up to us as consumers to spend our money on the right things,’ she said. 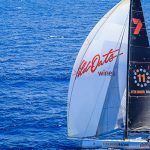 Two notable examples are RS Sailboats, which now makes racing dinghies out of recycled plastic bottles, and Adidas, which has turned many tons of plastic waste trawled out of the ocean into hundreds of thousands of shoes. What’s next for the three panelists? 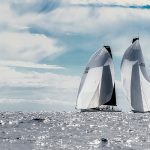 Lars Böcking is running “Protect Our Playground” workshops for ten influential yacht clubs across Europe, advising them on all aspects of organising and hosting sustainable events. Dan Reading, meanwhile, is focused on delivering World Sailing’s own sustainability targets and highlighting best practice that others can follow – for example, through the organisation’s new sustainability awards. ‘We have entries from 18 countries already, representing a wide variety of initiatives,’ he said.